During your stay with us, we make the world revolve around you, and then we gently take the discomfort away. Whatever your endodontic needs may be, It's Our Pleasure! 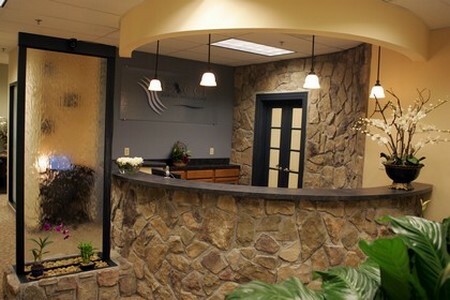 Excel Dental Specialties provides one of the finest endodontic care and personal attention anywhere. The concern for the patient is the driving force behind our practice. The atmosphere is warm and relaxed and our staff will help you experience a truly caring ambience. 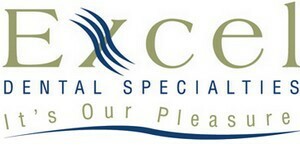 Excel Dental Specialties is the premier practice in Maryland providing endodontic care. Our technology surpasses any office in the state, with the surgical microscope and digital radiography. Come to experience the unexpected. 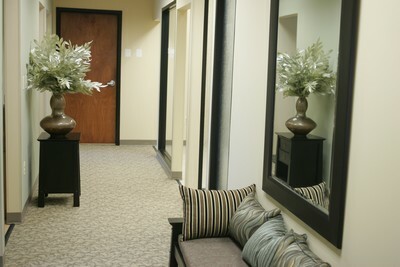 A gentle, soothing atmosphere to relax you into a comfortable and painless procedure. TLC is part of your treatment just as much as our cutting edge technology. Our paperless office makes communication between your dentist and our office seamless. You will never feel like you need to remember every detail. We already took care of everything. The tranquility will relax you. The experience will energize you. It's Our Pleasure. Our goal is to help you achieve and maintain a healthy mouth as quickly and as economically as possible. We believe that people should have their own healthy teeth for an entire lifetime. Our focus on flawless service, attention to detail, and genuine concern for your well being assures our guests of exceptional endodontics and excellent care. Imagine having discomfort for days, few sleepless nights and then coming to us, where you'll hear the soothing waterfall from the moment you come in, and you'll become immersed into calmness and comfort from the moment you let your care to us. Sleeping peacefully after restless nights? It's Our Pleasure. Before any procedure is started, you will be explained the procedure in detail, and you'll understand why root canals are not what they used to be. The saying "As painful as a root canal!" is becoming a myth and a rather funny saying when we don't enjoy something. The technology has come a long way. At Excel Dental Specialties, a root canal is as traumatic as filling a cavity under a local anesthetic. We are able to visualize and inspect your tooth employing the state of the art surgical microscope, enhanced with an assistant scope as well. Our digital radiography will be used to help in diagnosing the problem with your tooth, while exposing you to 90% less radiation than traditional film. Pictures will be taken of your tooth so that you will know what is happening as the treatment progresses. When you leave our office, you'll want to come back. We just hope it won't be for another root canal.